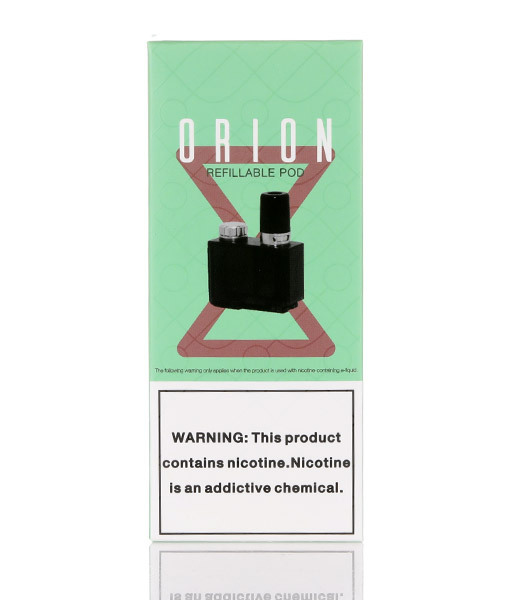 Lost Vape Orion Refillable Pod 2-Pack are 0.25 ohm or 0.5 ohm replacement pods for the Los Vape Orion DNA Pod Mod. These pods feature stainless steel coils, Japanese organic cotton, and have 2ml capacity. They are constructed from food grade PC-110 and have an estimated life span of 14 days. There is also airflow control, allowing you to choose between mouth-to-lung or direct-to-lung vaping.